Restaurants are complex businesses with a simple aim: great guest experiences that keep customers coming back for more. In order to achieve this goal, stores must deliver on the promise of a great product and exceptional service. There are a lot of ways to make the equation work and each brand has its own unique mix of ingredients that bring the whole operation together to create a recipe for profitability. There are also elements of a successful restaurant that are consistent across any operation. 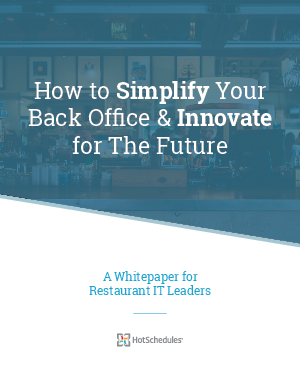 Restaurant executives have long been on the hunt for this elusive lever (or combination of levers) that systematically drive performance regardless of conditions.